Made with apricot kernel oil that smoothes the hair structure, mallow extract and aloe vera moisterise and protect it from drying out. The lavender oil balances, calms and relaxes the mind whilst soothing the scalp. 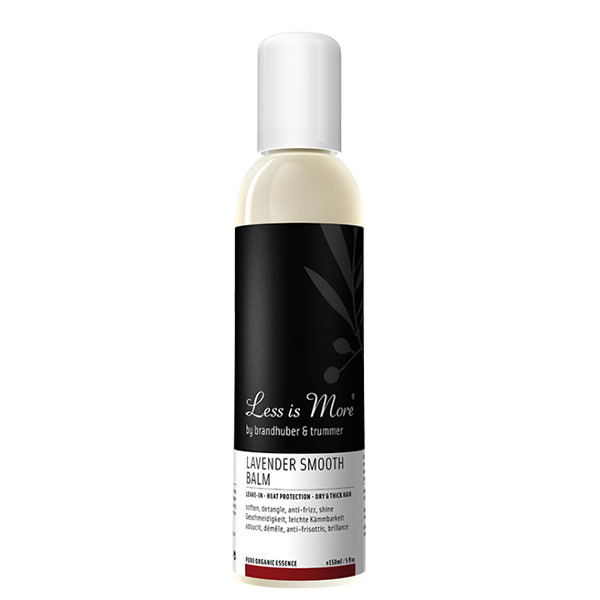 Pro tip: Use on towel-dry hair or dampen hair with moisterising Less is More Protein Spray, then add Lavender Smooth Balm from mid-lenghts and ends. "Your comb will glide through your tresses after using this balm, even if you have dry, thick or curly hair."